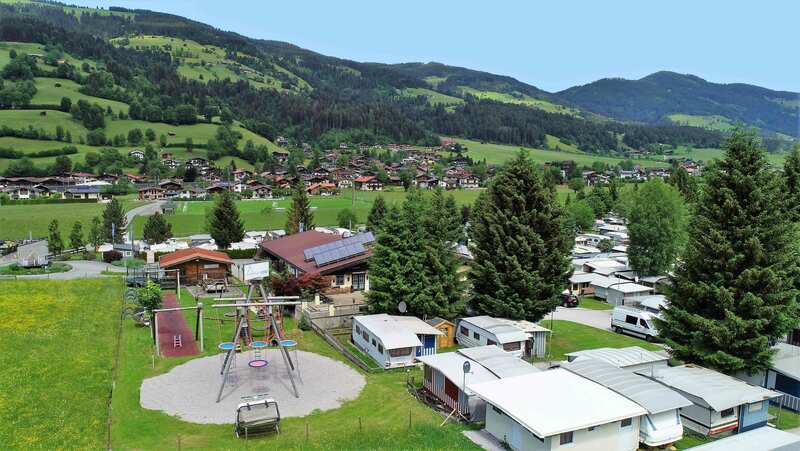 Camping World Brixen is nestled in the idyllic landscape of the Brixental only about twelve kilometers from the legendary Kitzbühel. On the edge of a grove just below the Choralpe is the extensive and largely flat terrain, on which find between numerous firs and deciduous trees, the camper her favorite place. The slightly elevated position of the area offers a great panoramic view of the surrounding mountains, e.g. High Salve or up to the Kitzbüheler Horn. The seemingly endless nature around the camping world also offers endless possibilities for activities – in summer as in winter. 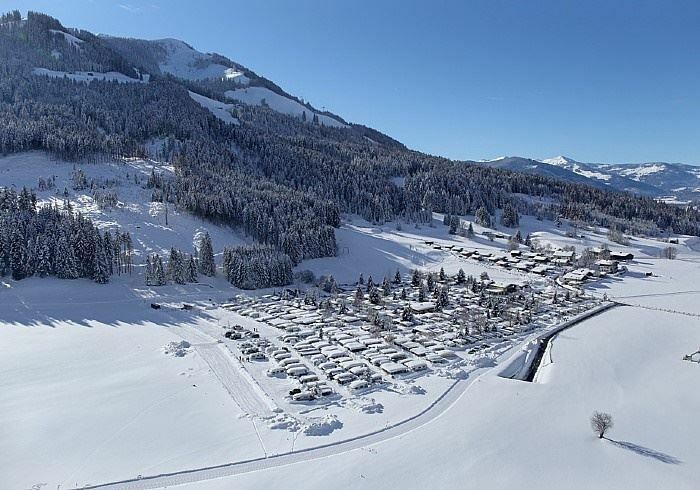 Better than Glamping: right next door is the holiday village “Das Resort Brixen”, which is run under the same management. Chalet-like cottages for four to six people, lovingly equipped with kitchenette, fireplace, large terrace and more. The chalets allow the more comfortable accommodation, if you are traveling without your own roof.